By visiting and/or using the frankandbeans.com.au website, associated services and functionality (“the website”) you agree to be bound by this user agreement (“agreement”). This agreement is formed between you and Frank and Beans Clothing (ABN 26 28 185 213 886) of PO BOX 714, Wahroonga, NSW 2076 Australia (“us”, “our”, “we”). “you”, “user”, “member” and “visitor” means anyone who visits this website. You may not use another member’s account without permission. For promotional purposes we may display the usernames of the last few orders received. This will be in the form of ? username (Xth order) just bought ? . We recommend not using your real name as your username. We do not take responsibility for direct or indirect damages, or consequential losses suffered by use of fraudulent or unauthorised web address. The only authorised access point is http://www.frankandbeans.com.au or www.frankandbeansworldwide.com.au with no characters before or after “www.frankandbeans.com.au” or “www.frankandbeansworldwide.com.au. Delivery is subject to terms and conditions of our couriers. We may use any of the following companies to have your parcel delivered via Fastway, DHL, Fedex, Australia Post or Couriers Please. Parcels may be left ATL (Authority to leave) under our Couriers Terms and Conditions. Store credits must be used within 12 months of issue. Store credits may only be used to purchase from www.frankandbeans.com.au and are not redeemable for cash. Products cannot be returned if they are worn or washed. Underwear that has been washed is deemed as worn and vice versa. We will refund, repair or replace if the product you receive – doesn’t match the sample or description, doesn’t do what it is supposed to do or is not of merchantable quality eg. defective or dead-on-arrival (DOA). A “reasonable time” is the amount of time that is reasonable to expect, given the cost and quality of the item. We do not refund, repair or replace where in our reasonable opinion the product becomes unmerchantable due to fair wear and tear, misuse, failure to use in accordance with manufacturer’s instructions, using it in an abnormal way or failure to take reasonable care. Storage media (such as hard drives) can fail without warning and if this occurs, programs, data or other information (“software”) stored on the media may be at risk of corruption or irrecoverably lost. This agreement will be governed by and interpreted in accordance with the laws of New South Wales, Australia. You irrevocably submit to the non exclusive jurisdiction of the courts of the State of New South Wales, Australia. 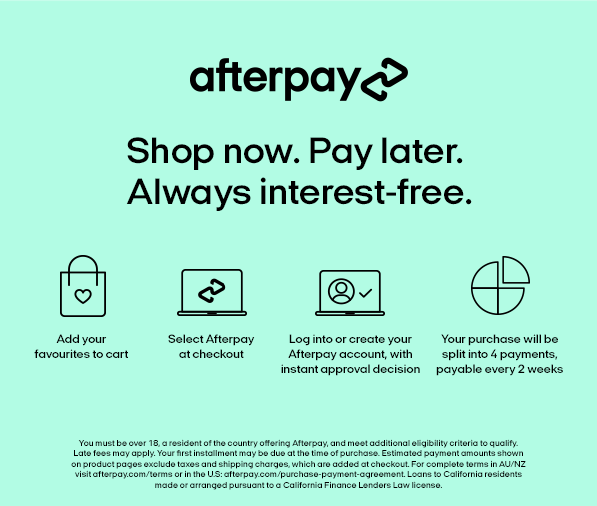 Online payments are handled by Paypal or Braintree external third party service providers we may also use other online payment providers at any time without notice. We do not see or store your credit card or banking details. Please check the Braintree.com.au and paypal.com.au websites for details of their privacy policies and security measures. Any order cancelled within the first 5 weeks will be charged a cancellation fee of $17.50 plus the difference in subscription and full price underwear at the time of purchase.